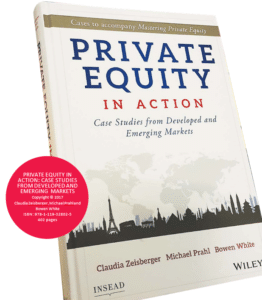 Private Equity in Action takes you on a tour of the PE investment world through a series of case studies written by INSEAD faculty and taught at the world’s leading business schools. This is an excerpt from a case study on PE investments in Asia. how the day had started.At 4am,he had been in the central kitchen of the Golden Gate Group,a restaurant chain operator, observing a manager taking shipments of produce and checking inventory levels. Over the previous two days,he had visited the kitchen of every Ho Chi Minh City outpost owned by Golden Gate. Mekong Capital had held a 15% growth equity stake in Golden Gate for the past ﬁve years,during which the group expanded proﬁtably from one restaurant concept with ﬁve locations to 10 concepts and 58 locations.By 2013,Golden Gate was on track to generate US$6.3 million in Ebitda, representing a 34% annualised increase in traffic and a 33% annualised increase in Ebitda since Mekong Capital’s initial investment.The window to realise a return on its stake in Golden Gate was fast approaching. Private equity fund limited partners (LPs), which typically consist of pension funds,sovereign funds, family-office capital and fund-of-funds investors, expect to exit their investments within ﬁve to seven years, if not sooner. Chad found himself thinking that although growth was impressive at Golden Gate, were the restaurant operations optimised sufficiently? Was the management team ready to show a new owner that a solid platform for future growth was in place? These were the questions the team needed to focus on,but being new to the res- taurant trade and from an operational background, he wondered whether Golden Gate management — much less the team at Mekong — would pay heed to his concerns. When a business grows substantially (as was the case with Golden Gate), LPs expect cash-on- cash returns to increase.Despite Golden Gate’s expansion,it was still subject to the usual emerging market investment challenges — an addiction to growth,elusive proﬁts and even rarer exits.Indeed in 2012, Golden Gate had disappointed in terms of both proﬁtability and same-store sales in many of its locations.If I were the acquirer or an under- writer, Chad asked himself, would I believe that this past success would continue or not? Would I be comfortable bidding for the restaurant chain? And if I did,would I pay full price? Fifteen years running Vietnamese businesses and a successful experience as a turnaround CEO led Ovel to question the restaurant chain’s “readiness” before its investor’s exit.After what he had seen in the kitchen that morning,he was convinced that it was not positioned to maximize value.More importantly,he could see how operations could be enhanced in a relatively short period of time to at- tract multiple buyers and warrant a premium offer, or persuade an underwriter to launch an IPO and support serial sales of Mekong-held shares. Until now, the management team had championed the continuation of its expansion plans as the best way to create value for shareholders. Tomorrow morning , Ovel would propose a radical shift in Golden Gate’s strategy — to stop opening outlets. He would call for a moratorium on new locations and hone in on back-of-the-house improvements, convinced that incremental improvements in the supply chain and kitchen would drive the most value — not only for Mekong before exit but the remaining Golden Gate shareholders over the long term. As this was his ﬁrst major initiative since joining Mekong Capital as a partner and assuming the role of deal leader at Golden Gate, Oval knew he was taking a risk by going against the prevailing pursuit of “growth for growth’s sake”. Golden Gate’s board consisted of ﬁve members — Ovel, one other outside director and three members of the Golden Gate management team. Golden Gate management was passionate about ﬁnding new locations and developing new concepts — it was their main strength. Would they, he wondered, be willing to listen to him, being new to the situation and having an operational rather than an investment eye? With the right incentives in place it may be possible, but he would have his work cut out for him in the coming months as he managed the exit process. Ovel took a deep breath as he left the office and hailed a cab to the airport for his trip to attend the Golden Gate Board meeting in Hanoi. He hoped the overnight ﬂight would be uneventful — tomorrow was going to be a test. Investment tends to take a different form in emerging markets. Over 88% of the deals done across Asia to date have been “growth equity”, a term denoting a minority investment in which the invested capital is used primarily to fund growth rather than buy out existing shareholders. As a growth equity investor, a PE ﬁrm must persuade the management team to take them seriously (as opposed to control investments where PE ﬁrms can force decisions if necessary). While agreed-upon rights exist for minority investors, their enforce-ability is questionable. This is in contrast to US management buyouts, where gaining control is the model on which the PE phenomenon is built. And different from the venture capital industry, where an entrepreneur’s ownership is diluted, often to less than 50%, by multiple investment rounds as the start-up grows. The popularity of growth equity in emerging markets was in part a product of the business culture — founders and owners (often families) were extremely averse to giving up control. Exiting such investments could prove challenging. Markets tended to be less liquid and less developed, making public offerings difficult, and there were fewer trade buyers capable of executing a third-party sale. Often a family was reluctant to sell its entire business to a trade buyer because of the family legacy embedded in it, preferring an IPO, which left family members in charge and enhanced their prestige in the community. In 2008, when Mekong ﬁrst invested in Golden Gate, the relatively young PE ﬁrm had no track record of exiting investments. Later, it developed one of the best track records in achieving realisations from all of its emerging market investments, exiting or partially exiting 19 of its 26 investments by 2014.